Recruitment Process Outsourcing (RPO) is a form of business process outsourcing (BPO) where an employer transfers all or part of its recruitment processes to an external service provider. An RPO provider can provide its own or may assume the company’s staff, technology, methodologies and reporting. In all cases, RPO differs greatly from providers such as staffing companies and contingent/retained search providers in that it assumes ownership of the design and management of the recruitment process and the responsibility of results. FlexAbility ( www.flexability.in) is the RPO division of ABC Consultants and has been delivering customized end to end RPO and Resource Augmentation solutions to large Multinational and Indian corporates for the past 8 years in India. FlexAbility has evolved as a trusted RPO partner to its clients to attract the best available talent and has over 200 full-time professionals. FlexAbility has an ISO 27001 certified shared service centre in New Delhi along with sourcing hubs in Mumbai, Bangalore & Hyderabad to support their fortune 250 RPO clients. FlexAbility has an exclusive strategic partnership agreement with Global Talent Acquisition and Management Services provider, Alexander Mann Solutions. Alexander Mann Solutions is passionate about helping companies and individuals fulfill their potential through talent acquisition and management. Today, over 3,500 talent acquisition and management professionals are partnering with over 80 blue-chip clients across multiple sectors, in more than 90 countries globally. Delivering a distinctive blend of outsourcing and consulting services, Alexander Mann Solutions’ unrivaled experience, capability and thought leadership helps its clients attract, engage and retain the talent they need for business success. Over the years, we have successfully executed various assignments across industries. We have a team of specialist consultants to service the true needs of each of our clients. We believe in maintaining long-standing relationships with our clients and candidates, in order to provide right talent at the right time. Vinod Subramanian is the Chief Operating Officer for FlexAbility - the Recruitment Process Outsourcing initiative of ABC Consultants. He is based in Mumbai. Vinod joined ABC Consultants in 2004. He has over 16 years of experience of which 9 years have been in various types of recruitment delivery. 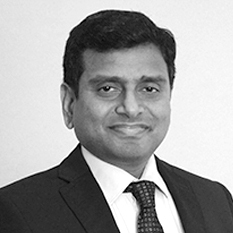 He has overseen the business acquisition, solution design and implementation for diverse RPO solutions to clients in Medical Devices, Healthcare, Investment Banking, IT, Automobile sectors. Vinod Subramanian is the Chief Operating Officer for FlexAbility – the Recruitment Process Outsourcing initiative of ABC Consultants. He is based in Mumbai. Vinod joined ABC Consultants in 2004. He has over 16 years of experience of which 9 years have been in various types of recruitment delivery. He has overseen the business acquisition, solution design and implementation for diverse RPO solutions to clients in Medical Devices, Healthcare, Investment Banking, IT, Automobile sectors. Previously he has been onsite for over 2 years and led the RPO delivery team for a large MNC investment bank and for a renowned MNC’s India IT development centre. His previous experience of managing the senior/ middle level searches and the volume hiring, delivering on various RPO projects coupled with the ability to tap the knowledge within ABC about Indian talent market helps add value in providing a practical and hands on recruiting solution specifically tailored to each of our clients’ unique needs. He was deputed to China to carry out an in-depth study of the Chinese recruitment market while at ABC. Prior to that Vinod was a Lieutenant in the Indian Navy Aviation core – Air Traffic control, Radar control and executing large scale Airport projects while at Goa international airport managed by Indian Navy. Vinod received his Masters in Management from the Asian Institute of Management, Manila, Philippines. He can be reached at 91-22-66623700.